In last night’s StarLadder i-League Dota Invitational, reigning TI7 champs Team Liquid fell for an early ruse that led to first blood and more for their opponent, Mineski. Mineski picked a lineup of heroes like Ursa and Shadow Fiend, meaning it was theoretically possible they could kill Roshan before the horn sounded. Killing Roshan is a huge boon, especially that early on, but what Liquid didn’t realize is that it was a bait. 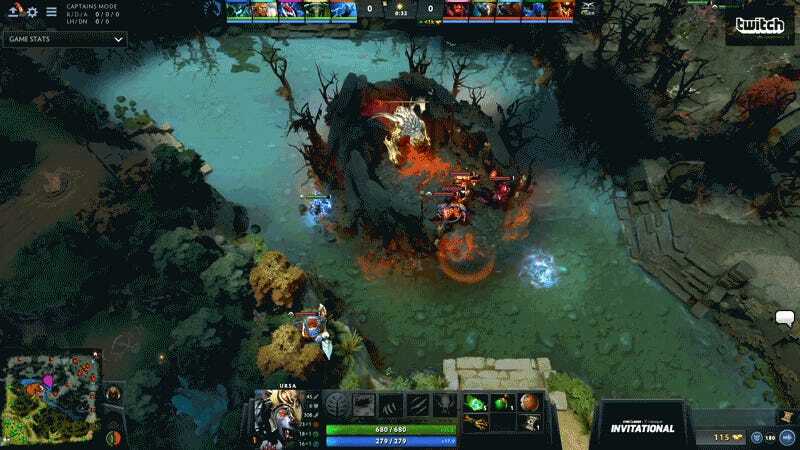 As Lasse “Matumbaman” Urpalainen rounded the corner to check Roshan’s alcove, Daryl “iceiceice” Koh Pei Xiang skewered him into the waiting Mineski squad. Oof. Liquid would go on to win the series 2-0 over Mineski and the tournament 3-1 over LGD Gaming, netting some more pro circuit points to edge them ever closer to Team Secret’s lead.